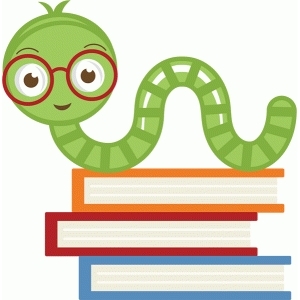 In this new program, we focus on our youngest bookworms, our 0-2 crowd! Littles and their grown-ups are invited to come and learn some new rhymes, songs and lap bounces that will entertain your baby not only at the library, but at home. A handout is provided so that parents can follow along with the words and movements. Our Wiggle Worms should join us Thursday mornings at 10:30am for all the fun. Learning the alphabet is one of the most basic keys to literacy. That’s why Miss Kate has decided to start an ABC Storytime. Each week we will experience one letter of the alphabet through books, activities and crafts that focus wholly on that letter. This program is geared for children ages 2+ and all are welcome. Every Friday at 10:30am. Sessions are free and do not require registration. These literacy enhanced library storytimes are based on the national Every Child Ready to Read initiative and incorporate six key literacy skills into fun programs through the five main practices of talking, singing, reading, writing, and playing. We use stories, songs, fingerplays, crafts, and other activities to help achieve early literacy goals. Registration is not required for these drop-in programs. Print Motivation (Reading is fun! ): Children who enjoy books and being read to will want to learn how to read for themselves. Print Awareness (Look at words): Being familiar with printed language helps children feel comfortable with books and understand that print is useful. Letter knowledge (Know your letters): Knowing the names and sounds of letters helps children figure out how to say written words. Vocabulary (Learn new words): The more words children know, the better able they are to recognize words and understand what they read. Phonological Awareness (Sound out words): Being aware of the small sounds that make up words helps children sound out written words as they begin to read. Narrative Skills (Tell a story): Being able to tell or retell stories develops comprehension skills that will help children understand what they read. Activities you do to support these skills will help children on their way to becoming great readers! To get hands-on experience for you and your child attend any of our Library Storytimes where we demonstrate the Every Child Ready to Read skills and do fun activities. The most important thing to remember is to talk, share, laugh, and have fun reading together!